Tami Simon: You're listening to Insights at the Edge. Today I speak with Dennis Lewis. Dennis Lewis earned a degree in the philosophy of religion before working as a computer programmer and analyst, as well as a book editor and public relations executive. After leaving the corporate world, he studied a number of healing arts traditions. He's also a longtime student of Taoism, Advaita, and the Gurdjieff work. Dennis Lewis teaches natural breathing, qigong, and meditation. He's the author of the books The Tao of Natural Breathing and Free Your Breath, Free Your Life. 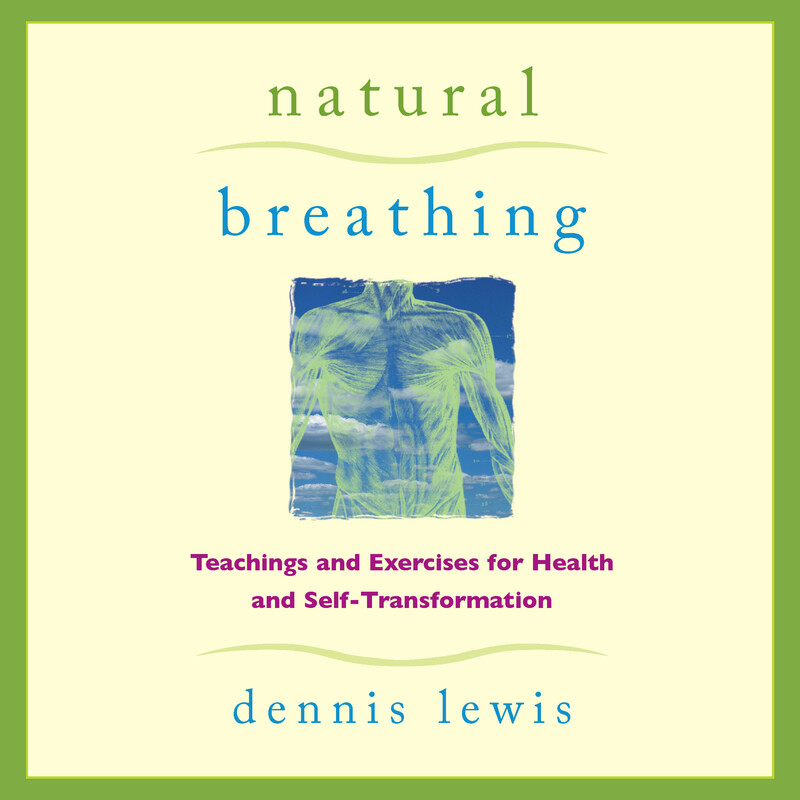 With Sounds True, Dennis has released a three-session audio learning program called Natural Breathing: Teachings and Exercises for Health and Self-Transformation. In this episode of Insights at the Edge, Dennis and I spoke about releasing tension in the belly, the relationship between our emotions and our breathing, and the psychological challenges that obstruct full exhalation and full inhalation. We also talked about the importance of letting go into the unknown as we exhale, how breathing can be a metaphor for living, and finally, what it might mean to breathe space into space. Here's my conversation with Dennis Lewis. To begin with Dennis, I think it would be wonderful and instructive to have you define what you mean by "natural breathing." I'm sure many people might say, if you want to know what my natural breathing is, first of all I have no idea because I'm not aware of it—it's just happening while I'm in the middle of doing other things. And then secondly, I don't know, it's probably a little shallow or something like that. Is that natural breathing? Dennis Lewis: I think it's important to distinguish between what might be called "normal breathing," the way we just normally breathe, and natural breathing, which would be the way we would breathe if we weren't conditioned by all sorts of other things in our lives. So natural breathing might be best described as a way that a baby or a young child breathes—a healthy baby or a healthy child—because they haven't been conditioned yet by all sorts of imitation, by all sorts of emotional stuff, by stress—all these other things in our lives that do affect our breathing quite dramatically. So natural breathing is a return to how the body really wishes to breathe if it weren't burdened by a lot of these other things. TS: Now, a small child or baby wouldn't necessarily be aware of their breathing, but they would just naturally, effortlessly be breathing in such a way. Is that correct? DL: Yes. The idea would be that they would be breathing in the way that would be appropriate for whatever situation [they're] in. So if they need to be breathing faster because they are running, they would be breathing faster because they are running. If they need to be breathing deeper, they would be breathing deeper. If they're just sitting around doing very little, they wouldn't need to be breathing faster and deeper. They would need to be breathing a different way. The body would respond appropriately to whatever the demands of the moment are. TS: So how am I going to return to natural breathing? How am I going to do that? Because I'm going to bring awareness or attention to the whole thing and that's going to be quite different than the way it would be with a child, right? DL: Yes, and this is a very important subject and rather a lengthy one, so cut in anytime you want. TS: Well, take your time because I actually really want to understand this. DL: Yes. OK, so here you and I are, we are adults. We live in a world in which the future, for most people, has become more important than the present. And so we're always sort of trying to move into the future, trying to change things. We, or many of us, or many people, are unhappy with the present moment, so [we] are sort of tensing away from the present moment. That's one thing. A young child is not yet aware of all the problems and issues of modern of life—the fact that his/her father and mother might not have enough money to put food on the table and so on, the fact that there's so much violence around the world, the fact that there's so much turmoil—all of these things which create stress for the nervous system. So if you think, historically speaking, about our evolution as physical beings, we worked as a species very hard for periods of time and then rested for periods of time. There was a lot of stress, but it wasn't nonstop. Today, we have almost nonstop stress, and we have instant communication about it everywhere, which puts the nervous system on high alert. And when the nervous system goes on high alert, we are put into a flight, fight, or freeze sort of mode of behavior. That's sympathetic activity. We're ready to do something to try to get away from the stress to overcome it, to fix it, and so on. This means that our breathing is being dramatically influenced by this, and the diaphragm and the breathing muscles. The whole body is being very much influenced by that. When we breathe naturally, the whole body is involved. It has to be involved. When we are not breathing naturally, the whole body is not involved. That usually is the result of the fact that there are many tensions throughout the body, which are not enabling the body to move fully the way it would in the breathing spaces of the body—and we'll talk more about the breathing spaces later. So that's another aspect of it. As adults, we're just conscious of so many things, or at least we're thinking about and emotionally reacting to so many things that are putting our nervous system on high alert, that are affecting our breathing. Many people are breathing much too fast for the circumstances they're in, and many people are constantly trying to do deep breathing, you know? Deep breathing is not a panacea—in fact, for many people it just causes more problems. What we're looking for is natural breathing, the kind of breathing that is appropriate to the demands of the moment. Now, unfortunately, the demands of the moment have become so—at least in our minds—overwhelming, we really think in our brains we need to deal with everything out there in the news. We need to respond to what's happening in Egypt, or what's happening in Libya, or what's happening wherever it's happening. Primitive peoples didn't have to deal with any of that. They only had their own tribe, their own location, and so on. It was quite a different kind of life that we lived in. But now with instant communication, that's all changed. So natural breathing means to begin to recognize all of these influences, to actually see them, to feel them, to sense them, and to learn how not to identify with them, to get attached to them—to actually be present to them. That's really what's demanded of us. And of course, a young child doesn't have to be—they're just breathing the way they're breathing quite naturally, fluidly, that they are taught pretty early on. One of the things that they learn early on is that when Mom and Dad come home, they're in a bad mood, they say something kind of mean, and the child holds its breath. I don't know if you can remember that, but this is one of the ways that people feel less, by holding their breath. So often people who don't want to feel what's actually going on start breathing really shallowly or holding their breath. And I'm not trying to oppose shallow breathing with deep breathing here—I'm just saying it's really shallow. In other words, it's much less than is needed. And the idea here is that maybe I'll feel less if I breathe that way. It's a kind of an instinct that works for young children, but then by the time we're adults, we can begin to use our reason and we can say, "Oh, mommy wasn't really mad at me, she just had a bad day at work. I don't really have to hold my breath. She's not really criticizing me," and so on. So there are things like that [which] happen to kids as they grow. 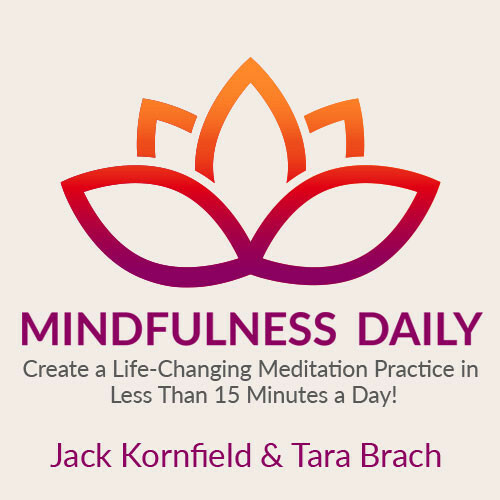 TS: As I'm listening to you, Dennis, and I imagine our listeners too, first of all they can relate to this idea of being in a high alert state of being, and their breathing being harried, rushed, not smooth and beautiful and relaxed and natural. And just even hearing your voice, I think I'm experiencing it as very calming. How, though, when I notice, "OK, I'm in this high alert state. My nervous system is in this fight, flight, freeze mode. All this information is coming at me." How am I going to work with returning to natural breathing? What do I do? DL: OK, there are several steps to that, and sometimes they can happen all at once. I'm not necessarily saying that there's only one way to do this, but it begins with presence. The first thing is to see that something's not right. To actually sense one's body, one's sensations, to feel one's feelings, to observe one's thoughts, which is in large part what we mean by "presence." Although many people, when they use the word "presence," are only talking about the presence of your thoughts. That's very important, because many of our thoughts are producing tensions and emotions that are very difficult to deal with and have a powerful influence on the breathing and thus undermine our health. But there are emotions. There's emotional stuff coming from childhood, what Eckhart Tolle perhaps calls the "pain-body." There's stuff like that influencing us. There are physical postures that we've learned from watching other adults, mom and dad, teachers, and friends, and so on. For example, just to give you a superficial—well, actually it's not superficial, it's actually a very important example, many people believe that they are supposed to hold in their belly, that the belly shouldn't move when they breathe. And so they learn these patterns of maintaining a really rigid belly or pulling the belly in toward the spine. In actual fact, the belly is meant to move. It's meant to expand with the in breath and to track with the out breath and this helps the diaphragm in its movement and all the dimensions that the diaphragm moves in. Yet we've learned these habits. We've seen a picture in a male fitness magazine or in a gym of some really strong-looking, handsome-looking guy, or a beautiful woman in the fashion magazine with a really flat belly and we say, "Oh!" We sort of imitate that, perhaps unconsciously, and we think that the belly shouldn't move. We think we're going to have a flabby belly if it moves. Well, quite the contrary. The belly is meant to move. It's a constant movement of yin and yang, there's a constant movement of life. It's almost like a dance of the breath. The breath dances through the body and part of that dance is the movement of the belly. So as you and I sitting here now, we would start paying attention to certain things. We'd say, "Well, now that I've just learned that the belly really needs to move and dance if I'm going to breathe well. I'm going to breath naturally. Huh. Does my belly do that? Let me look, let me sense." And we begin to sense, and we say, "Wow, my belly isn't moving very much if at all." Maybe I put my hands on my belly—you can try it right now or the listener can try it right now—you put your hands on your belly, right over your navel. So the part of your hand that's just below the navel is the area of what's called the hara, or the lower dantien, but anyway, that sort of basic center of gravity, energy center. Put your hands there and say, "Are my hands moving at all, when I'm breathing?" And you just notice. You begin to see, "Wow, the belly is really tight." And then you go a little bit deeper inside with your presence. It's not just a matter of seeing that with your mind or noticing it, you go inside and you feel what it feels like beneath my belly, around the organs. Can my attention go in that deep? Well, it can. And you notice if there's movement taking place in there. It's an area that most people are not very familiar with, except when it hurts. Most people don't want their bellies rubbed. The reason I talk about the belly so much here: I was a chi nei tsang practitioner for a number of years. Chi nei tsang is internal organ chi massage. It comes out of the Taoist tradition. I actually put my hands into people's bellies and learned how to get past the organs and go down and be able to touch the spine and massage the nerve plexuses and massage the internal organs and so on. And I saw extraordinary things. I mean it's just amazing. When people begin to have a sensation of their belly and their lower back, when they actually have a sensation of the internal dimensions of that, something changes in the breathing. Something changes quite dramatically. It's not a matter of telling yourself you have to breath a certain way. It's a matter of having the presence, the sensation as part of the presence, of what's actually happening of the immobility of the belly and the lower back and how rigid that structure is for many people. TS: Dennis, I want to go into this a little bit more because as you're talking, I can very much feel relaxation and ease beginning to develop just in breathing into the whole lower belly region, but then you said something interesting. You said, "Go even deeper and start to sense what's happening inside the lower belly." And that's where I wasn't quite sure I was tracking with you. Can you describe what someone might be feeling or what you would feel as you do that? DL: Let me start out with a little story. After I had had a number chi nei tsang sessions done on me by a real master of chi nei tsang in the San Francisco Bay area, I found myself—and part of that work was to learn how to breath into those areas where he had his hands—I found myself often, I don't know whether I was waking up at night, or I was dreaming—or it was a kind of superconscious state. I don't know what it was. I really don't. All I know is that suddenly I was inside my belly traveling. And, inside my belly traveling, I could experience my liver and my kidneys, and my stomach, and my intestines. It was almost as though I was inside and I could begin to see, "Is it tense there? Is it relaxed? Is it moving? Is it fluid? Is it more like ice, like frozen? Is it more like water, beginning to move? Is it more like air, a kind of gaseous, expansive feeling?" And I realized, "Wow, this is something that I've never experienced before." I had never approached my body, I had used the words "body as a temple,"—many people use those words. We say, "Oh, we're going to explore the body as a temple. We're going to go inside of our body," and so on and so forth. But, how far do you go? How far can your presence reach? For me, during that period, it was reaching way beyond what I thought was possible. And after that, this pain that I had been experiencing for some time—and the medical doctors couldn't diagnose—just went away. It just went away. It had come as a result of a lot of tension and a lot of stress, with my high technology public relations agency with top—Oracle, Sun Microsystems—clients, lots of top clients. We sold the company and we were going through the process of selling the company. And I was going through so much tension and stress that I developed this pain. When this person worked on me in that way, the pain went away. But more than that—that wasn't so much the remarkable thing. The remarkable thing was that as I began to go deeper into my belly, a lot of the emotional anger—anger in my case, different people have different emotions that they struggle with in their lives—but I had an enormous amount of anger buried in the liver area. And in the Taoist tradition, the negative emotion of the liver is anger. And the positive emotion is kindness. It was extraordinary how much anger was appearing before me about my childhood, which we don't need to go into here, but about some things that happened to me and stuff that I just—even though I had been involved with spiritual traditions for a long time, even though I had been studying myself for a long time, I had been working to be present for a long time, all of these things—I had not really gone that deeply and going that deeply just opened up something. I suddenly said, "Wow, there's this huge space here." People talk about wanting spaciousness in their lives. Many people—and the Tibetans talk about this, I think Tarthang Tulku once wrote something or said something, I'm can't remember where I heard this. I think it's in my book too. He said something like, "If everyone is looking for spaciousness in their life, they're looking for space. But space is inherent in the structure of ourselves." In other words, it's not so much space outside as it is beginning to feel this internal space. Can I begin to feel the internal space? And that's what was happening to me. So I began to discover that my belly was actually a huge space and most of it was empty, strangely enough. As things began to relax, something began to empty. The emotions began to be what they were. I didn't have to hide from them anymore, and change took place, a transformation took place and suddenly I said wow, who I really am is space and awareness because those are the two things that I was really experiencing a lot of. TS: That discovery inside the belly is beautiful. What I'd love to know is: this awareness that you had of the anger that was blocking, you could say, space and awareness—was that because someone was massaging your liver and that's how that was discovered? Or through you own self-perception, your own inner inquiry, you discovered that energy stuck in your liver, or both? DL: Well, I would say both. When somebody does chi nei tsang on you, because this wasn't really a massage per say. I've had many massages and massage therapists for the most part—I'm sure there are people that go way beyond what I experienced with many massage therapists, they just slide over the surface of the belly. Maybe they press a little bit and push a little bit but with chi nei tsang what the practitioner was doing was putting his hands deeply into my belly and manually helping to release, because when he would put his hands in my belly I would feel a resistance. And those areas of resistance, as he put his hands in and as I was resisting, I had to learn how to let go. So it was a mutual discovery, if you like; his hands in my belly, and my awareness meeting the resistance and saying, "Ah, OK there's pain here. It perhaps doesn't need to be here. It's here. I don't hide from it. But does it really need to be here?" And then being aware of that pain in the context of my whole body. In other words—there's so many things to get to here—but in the context of my whole body, I would discover the pain in my belly. Other parts of my body would be relaxed and open but in my belly I would experience this tension and pain. By experiencing this all together, being present to the actual state physically and energetically in my body, something would release. Now was it the work that he was doing? Partially. But it was also my own awareness of the resistances and the tightness and so on and my own willingness to say, "OK, let's go further. Let's let that go and see what's beneath it." TS: Now Dennis part of what I'm curious about is, as somebody's listening, I can imagine that they might feel some rigidity or frozenness in some part of their body as they are listening to this. And they are trying to open, relax, and they're tuning in and scanning, potentially even, how they're feeling, just as they're listening. What would you suggest if they hit an area that feels tight, tense, frozen in some way? DL: What I would suggest and I will give you sort of [laughs]—it's taken me years to come to this "sort of"—to me it's very simple now, but it's taken me years to discover the simplicity, if you like. The first thing is, let's use the belly as an example because the belly lends itself so beautifully to this. So let's say, you or somebody are experiencing tension or tightness in the belly. The belly isn't moving. The first thing you do is you rub your hands and you get them nice and warm. The breath likes to go where there's ease and comfort. It doesn't like to go where there cold and where there's tension. So you get your hands really nice and warm by rubbing them together. Just try it now for yourself. And then you put your hands over your navel. You will notice right away that there is warmth coming from your hands into your belly. And you allow that warmth to just—you don't try to do anything—this is all just very natural. It's really presence. It's like when you put your warm hands on your belly, what happens? It's kind of interesting, not many people have tried that. So now the hands are on the belly, and you feel the warmth and you suddenly notice, "Wow, my belly seems to want to move as a result of my hands being there. It kind of wants to expand on the in-breath, the energy, warmth is expanding, it's filling." And then there seems to be a desire to retract on the out-breath, go back to the starting place, or to some other place. So I try this for a few minutes and then I say, "Well, if my belly is really tight," let's say I'm not feeling this urge. Then I can try a really simple thing: on the out breath, I just push in a little bit on the belly, push in, and in the in breath, I gradually release the pressure as though there's a big energy ball right next to my hands and I let that ball grow as the belly expands. And then on the out-breath again I push in, and on the in-breath I kind of let the belly expand again. You'll notice the inhalation becomes longer and slower and softer. And you begin to see that the belly begins to move. As the belly moves, you allow your attention to go beneath the hand, beneath just the energy. What does it feel like in there? Is something relaxing and can I—through my intention, through my aware intention—can I allow that, can I aid relaxation in taking place. It's not that I'm doing anything. I'm just using these natural dimensions of myself called "intention" and "attention" and "awareness." And I'm letting that begin to release more, so that the belly can expand even more and retract even more. So the belly really starts moving. Now I'm not saying you go around breathing like this all the time, but the belly needs to be able to move as you breathe. Other parts of the body need to be able to move too, the back, the lower back, middle back, sides of the ribcage, the chest, everything needs to be able to move. But the belly is kind of the foundation. It's where our energy is. It's where our fundamental energy centers are. One more thing you can do as you are trying this, and this is something that many people don't want to try because they think it's somehow false—but it isn't. Because, well, we'll talk about that more, but what I want you to do now is: I want you to visualize someone or something that makes you smile, with your hands on your belly still—still with your awareness on or in your belly. Visualize someone who makes you smile. Let's say, you're in a particularly bad mood, you're in a foul mood, and you can't think of anyone, nothing makes you smile that day. So, you just put a smile on your face. You put the smile on your face and you keep it there for at least two minutes. You will find after two minutes, the smile will become genuine. And what happens is then you—it's what I call the smiling breath—and you breathe through the smile on your face right down into your belly. Of course, the air goes into your lungs—it doesn't go into your belly but your awareness, you presence, your attention includes your belly. It's as though you're breathing some kind of very subtle, fine energy right down into the belly and that the energy is the energy of the smile. So the smile is on your face and as you breathe through your nose, your whole face becomes your nose. You don't breathe through your mouth, you breathe through your nose. The whole face becomes your nose. You just breathe through it. And you just let that breath go down into your belly. Expanding the belly, and then the belly retracts. What happens as you try this is you are changing your brain waves. I had a friend who was a biofeedback expert, who did a lot of testing on meditators and she lives in Southern California. I went down to visit her one time. She said, "I want to put you on the machine here and see what this stuff you talk about actually does. I want to see if there are any changes in your brain waves." So she hooked me up and lo and behold, my alpha waves and some other waves just went up like, POW! She said, "Wow, this is amazing. You're not even meditating. You're just doing this thing with your belly, you're smiling, you're breathing into the belly, smiling into the belly." I then I said, "Yeah, and anyone can do it. There's nothing special about me! This is how we were designed to be!" We are designed to be able to smile and to experience the smile in our heart and our body and begin to communicate with our heart and belly because we're not communicating. Our belly does all this work for us and our heart does the same thing. You can do the same thing with your heart: smile into your heart that way. Or, if you have a painful place anywhere in your body, you can put your hands on that spot and you can breathe through, smile into that spot, and begin to feel like there's some kind of expansive, spacious quality being breathed into that location. TS: Thank you so much. That's very helpful—I love that, the "smiling breath." Dennis, you draw a relationship between psychological obstacles we might be experiencing in our life and how those obstacles might be reflected in our breathing. For example, if we look at why it might be difficult for somebody to exhale fully or inhale fully. Can you talk about what the psychological aspects might be, either the exhale or the inhale? DL: Sure. That's a huge territory but let's begin with … I'm glad you brought up … I'm glad you said exhalation first. I think you said exhalation first, but in any case it should come first. The real key to healthy, natural breathing and thus healthy, natural, living—a kind of presence that is with us that isn't forced by the mind, by the thought, is this letting go that takes place during this exhalation. Now, if you think about it, you realize that you cannot really inhale, unless you've exhaled. There has to be space. Many people put more emphasis on the inhalation. They're always trying to inhale more air, as though that's somehow going to help them. And of course you'll see it with people who have definite physical problems like asthma and emphysema and things like this. When you see these people struggling, they're struggling with their inhalations because they're feeling like they're deprived of air. And for these people inhalation is a real problem but the problem isn't just the inhalation. It's the exhalation. The problem is the diaphragm has really stopped in a serious emphysema patient, the diaphragm is not moving much. It's more or less frozen. In most people on this planet when they are stressed out and tense, the diaphragm does not move as much; it gets tense. Even if you sit and concentrate, visually, for 10–15 minutes at your computer, your diaphragm will begin to freeze up. It will start moving less, which is why I recommend people get up, move around, look in other places, stretch. The idea is that the diaphragm has to be able to move. Very often … I think there are studies that have been done, where the diaphragm—there are many directions the diaphragm moves in—but let's just talk about the vertical direction. I'm not trying to say it's only the vertical directions that count. That's not true. The diaphragms could move, as I've actually seen them moving, not in photographs but in —I've forgotten the technical term but there aren't many of these done of a person's diaphragm actually moving inside their body. A person who breaths really well, depending on how large they are, can move five to six inches vertically, from top to bottom or bottom to top—however you want to look at it. The average person on the street has about an inch and half of movement, something like that according to some studies I've seen. Take those with a grain of salt, because depending on who you study, the results can be very different, but in general for many people, the diaphragm is not moving that much. They're not actually exhaling. When they are having some kind of breathing problem or when they're talking a lot—and you do a lot of talking and I do a lot of talking because that's part of what we do—very often people who talk a lot won't pause in the middle of what they're saying and won't let their breath kind of come back to them. When you're talking, you're exhaling. One of the things you never want to do is go beyond the end of your breath. You don't want to get to the end of your breath. You want to stop talking before you are out of breath because the minute you talk and you're out of breath, everything tenses: the diaphragm, the ribcage, the back, the belly, everything tenses. Then many people will then start breathing faster and trying to breath deeper and so on in order to catch up. And it doesn't work; it creates many problems. That's kind of an aside for those of us who talk a lot. So getting back to the psychological aspects of this: when you think about exhalation, what is that? What is exhalation? It's letting go. Now think about your thoughts and your emotions, your grievances, your anger, all these other things. Are we able to let go of all that? There is a direct correspondence between the ability to let go physically in one's breath, and let the inhalation rise on its own. There's what's called the "breathing reflex" that happens when you exhale fully and naturally and easily and you wait for the inhalation to arise on its own: it arises and it's as though you are breathed by something much larger than yourself. It's called the "inhalation reflex" and it's in the textbooks but not many people know about it or talk about it. It's very, very important. But the same thing, psychologically speaking. If you're going around with lots of negative emotions and lots of negative thoughts, and you're kind of trying to hide from all of that—which is what most people do—you're expressing it wildly or you're hiding from it, then what happens is the breathing sort of mirrors that. You don't exhale as much, you're inhaling more, and you're trying to get more force, more breath, so on and so forth. And you're going to get it that way. What has to happen is that we learn to exhale, we learn to release, and we learn to let go into what? Into the unknown. Into the unknown. Exhalation has to do with a kind of dying. You die into the unknown, psychologically and physically. You don't know if your next breath is going to come or not. You really don't. You trust it, you have faith that it will but many people don't let go that way. They're hanging on, they're only half exhaling. So the diaphragm is never really exercised and is never really moving fully to its full range of motion the way it could. Now I'm not talking about deep breathing here. Deep breathing is something that is quite different where people make a big effort, taking a deep breath. I don't mean that. What we're talking about here is the ability of the diaphragm to move in whatever way that is necessary for whatever breath is really needed. If I'm hanging on to my negative thoughts, to my fear, my anxiety and so on, the breath is going to be very similar. For example, when I'm grieving the breath is going to be very, very tiny. If I'm really caught up and identified with sadness, yes sadness is important—we need to have a certain amount of sadness and grief when people die— but now, let's say I hang on to it on months on end, then I'm really dramatically affecting the whole organism. Or anger, where you may have a burst of anger and the breath becomes very staccato when you're inhaling and when you're exhaling with force—you know like with anger—and whatever words you're going to use against that person. Well, that kind of breathing for a long period of time, that kind of expression of anger, undermines the immune system. You can have two minutes of that and you'll undermine the immune system for a day or for many hours at least. So there are psychological relationships here with breathing with being able to let go, with being able to exhale. So I like to think about it in terms of —and to feel it in terms of exhaling into the unknown, letting go into the unknown because our biggest fear is the unknown. When people talk about being present, what are we present to? I ask this question. You know, there's so much talk about presence and so many book and tapes on it and everything else, but to me, presence means presence to the truth—whatever the truth is. And the truth is, most of what goes on in us, is unknown. Most of what we really are is unknown. And when we can realize that and let go into the unknown as we're breathing, letting go into the unknown, something miraculous happens as a kind of stillness and silence that appears, a kind of spaciousness—not kind of—there's a spaciousness that appears. There's an opening that appears. And suddenly, one realizes "Wow! I've always been that. It's just that I've always been identified with myself someplace else. I'm identified with my thinking, with my anxiety, with my anger, with my great plans for the future. I'm never really residing here in the present moment—in the unknown. TS: Interestingly Dennis, I've heard you make this very intriguing statement that I think follows a bit from what you're saying right here and I wonder if you can comment on it, which is that "breathing is a metaphor for living." What do you mean by that? DL: Big question. In the simplest terms, when we inhale, or when inhalation takes place, we bring fresh energy. We bring in fresh oxygen, other gases, but also fresh energy. In various traditions, they talk about prana and qi and things like that. And when we exhale we let go of wasteful—of what's no longer needed—we let go of the waste. We let go of what's really unnecessary, that's no longer necessary. And if you think about your life, it's very much like that too. We are constantly taking in new impressions. We are constantly taking in new ideas, new feelings perhaps, new ways of orienting ourselves to the world, and at a certain point, we have to be able to exhale with those. We have to be able to release them because they may no longer be sufficient in terms of who we begin to recognize we really are. So we may have thoughts about ourselves that have to be let go. In the same way that I have to exhale unnecessary carbon dioxide, I have to exhale unnecessary thoughts or unnecessary emotions. So there's a metaphor there. People are, in general, more oriented toward the inhaling part—both with breathing and with life—with taking in stuff than they are with the exhaling part, which is the letting go part. TS: I want to circle back to something that was intriguing you mentioned that we didn't have a chance to talk about yet, which is you mentioned this idea of "breathing spaces." And I'm curious what you meant about that. What are the breathing spaces in the body? DL: Well, the whole body can be looked at as one huge breathing space because the breath, the movement of the breath goes through the whole body or does when there is a kind of release of unnecessary tension. But within that whole space, you can discern other specific spaces. For example, there's a space from the navel down to the feet, there's a space from the navel up to the heart, and there's a space up to the top of the head. You can see that some people, for example, their breath seems to originate more in the upper space in the upper chest. And often that's associated with a kind of anxiety, with a kind of doing, with a kind of aggressiveness—often, not always. Of course a natural breath will incorporate all of those. But if you see people who are very oriented toward the upper-chest kind of breathing, it usually comes with certain psychological aspects. And this is in the upper breathing space. It's really a matter of all of these spaces beginning to be felt in us and allowing the breath to move through all of them. TS: How does knowing these three breathing spaces help me? How would I work with this idea? DL: Well, in the audio program I have a whole section on that where we actually lie on the floor and we work with these different spaces. When I teach workshops and so on, but even just knowing about it, you begin to pay attention. You start noticing. Where am I breathing now? Am I breathing in my whole body? Is my belly, my middle part, middle space, upper space, back and so on—do I feel everything moving? Do I feel everything dancing? Or do I feel as though my breath is always rigidly coming from one place? Let's say I've learned that belly breathing is really great. Well, belly breathing is if it's part of the whole process of the breath. But if it's isolated and people just go around pushing their bellies in and out, and some people do this thinking that this is very good for them, that's not so good. So you can begin to notice, well, where am I breathing? Am I breathing in the lower space, the middle space—it just gives you a kind of map to look and then you can begin to get a sense with the smiling breath. You begin to say to yourself, "Alright, how can I get more actively into these spaces? How can I begin to feel what's really going on in these different spaces?" One way is to, for example, put your hands on your heart and put a smile on your face, smile, breathe through that smile down into your heart. You begin to sense something happening in the heart area. Or you can do it with the belly or with the upper chest. In that way, you begin to actually have living sensations of what we're talking about. Then when you're aware of your body, the awareness simply includes all of that. Now when you're present, it includes it but if you've never tasted it, if you've never had the sensation of it, and somebody says, "Oh, be aware of your body." Most people just are aware of their outer most tensions, muscles, aches, and pains, and stuff like that. TS: That's helpful. Dennis, when you were talking about your own life story and you talked about selling your company and the stress involved and the discovery of what had been stuffed into your belly, the anger that came out. You've now been working with these natural breathing exercises for quite some time. I'm curious—our program is called Insights at the Edge—and I'm always curious what people's edges are. And so I'm curious as you've been working with these practices, you've obviously discovered many things, but what would you say is your current edge in relationship to your work with natural breathing in your own body, in your own experience? DL: My current edge. Can you say just a little bit more about what you mean by that? TS: Yeah, what you might be exploring, where you might feel "Huh, that's the next growth horizon for me." DL: For me, I'm not so much anymore doing actual practices per say because the practices have become integrated into my life in a way that I don't—natural breathing is natural breathing. So I would say that what's happening for me is, the edge is, around this quality of spaciousness, this quality of release into emptiness, if you like, which we've talked about a bit. I didn't use the word "emptiness," but that's another way to put it, releasing into the unknown, releasing into emptiness. It seems to me that my work is taking me deeper into that direction. It's taking me, because I talk about spaciousness and spaciousness is a kind of openness that is just truly open. So I find in my relationships and so on, in my own teaching, that I'm at the edge of really being able to really be that person full time and not just part time—if you see what I mean. TS: When you say "that person," you mean that person who is comfortable releasing into space? DL: Yes, and into the unknown. Into space and into the unknown because there's a kind of rhythm for me, there are certain situations in which it's more possible and other situations in which it's more difficult. And this is part of what I'm exploring. For example, one of the practices that I recently, well, I've given it many times but it's something that's beginning to be something that's more primal than my own life, is to breathe space into space. And what that means is that whatever I'm doing—talking with you, or I'm out doing some work on my desert land, I'm leading a group, or I've got my hands on somebody's belly or back—this breathing space into space means the ability: willingness, really, to live in both worlds at the same time fully. To do the utmost that one can do in the world of functioning—I'm talking with you, that's functioning, it's my voice, it's my thinking, my feeling, my perceptions, my insights—that's all in a way functioning but at the same time there is this sense of breathing space into space of the unknown. I don't really know you, I don't really truly know everything about myself, this interaction, and I have no idea how it's going to influence people. Underneath all of that, how did all of this happen? How did it come about that you and I are talking? How did it come about? I'm not saying this as theoretical question, I'm saying that there's a sense in which, there's a release at which one can finally just say, "OK history is history, but I'm here and this is it. This is all there is!" This kind of openness, this kind of unknown quality, and so on. So that's the kind of edge I find myself at because sometimes it's difficult when you're trying to do a good job at something, you're having an interview, you're doing some work, or whatever. One easily forgets. It's easy in meditation or in a cave or something but when you're in the real world it's very easy to forget about it and not to actually live it and practice it. TS: Breathing space into space. I love that. DL: Well, you are! Think about that: if you just visualize for a moment the sense that around you is this space. People think, I'm going to breathe now, but they aren't thinking "I'm breathing space into space," they're thinking "I'm going to breathe space into my ego," "I'm breathing space into myself, it's my space." I'm breathing space into space such that the body, the emotions, the mind—all begins to dissolve. They still function, and they function even better, but there's a spacious quality to them. They're no longer mine, they're no longer something that I have to fear or worry about and yet I need to do the best job I can in functioning because that provides the condition in which breathing space into space—in which the spaciousness and the unknown—actually mean something. They're not just words. TS: I've been speaking with Dennis Lewis, breathing "space into space" together. TS: He has created with Sounds True a three-session audio learning program called, Natural Breathing: Teachings and Exercises for Health and Transformation. And clearly there is a focus on being aware of space, breathing space into space in all of the natural breathing teaching that you do. Dennis, thank you so much for being with us on Insights at the Edge. DL: Tami thank you, it's been wonderful. TS: Soundstrue.com. Many voices. One journey. Thanks for listening.